Kerry Washington wore all red to hit the red carpet at the 10th-anniversary celebration of the Broadway Loyalty Program Audience Rewards held at the Paramount Hotel in NYC on Monday night. 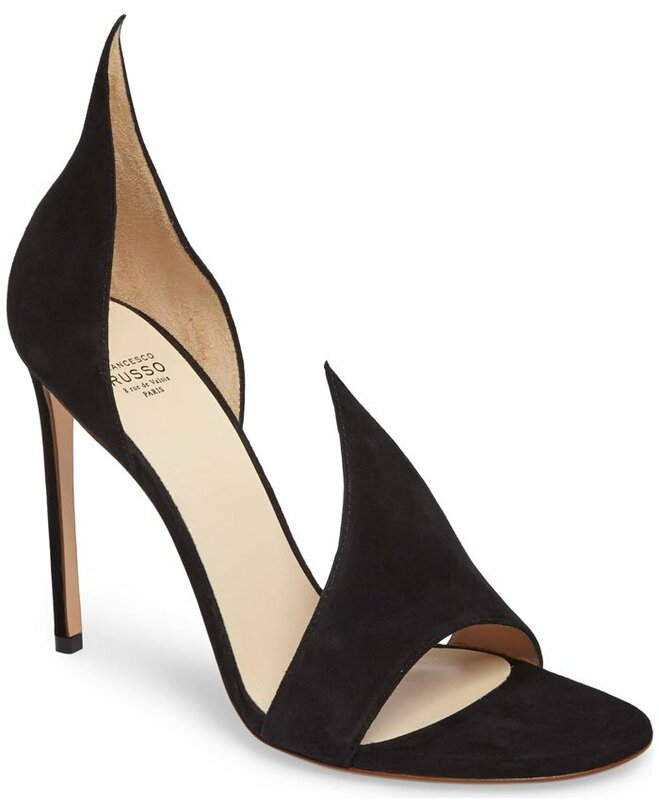 Some of you might say we are nitpicking, but the way Kerry’s shoes don’t match her dress are completely throwing us off. 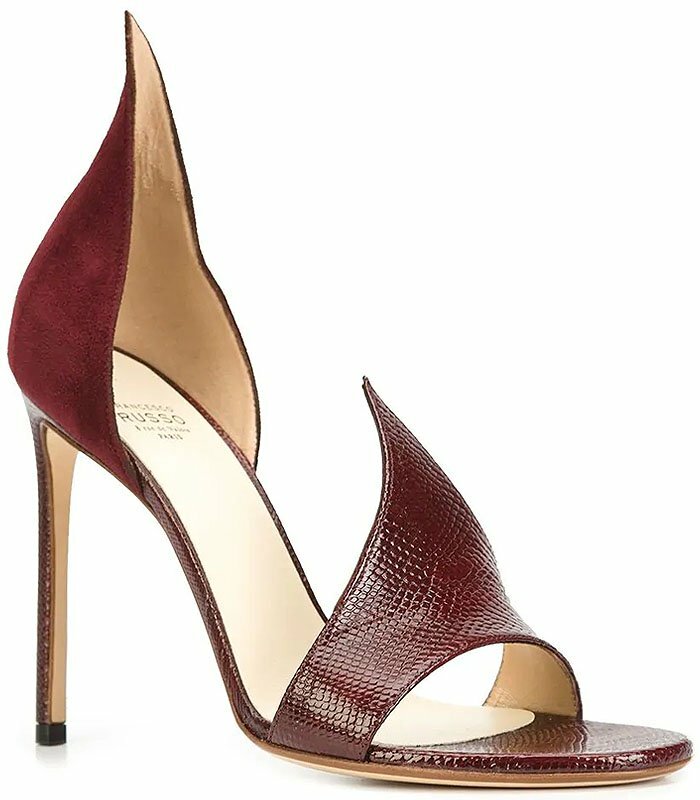 The pinkish hue of her raspberry-colored Francesco Russo ‘Flame’ sandals competes with the brown undertones on the rest of her burgundy ensemble. Kerry Washington wearing a Markarian Fall 2018 oxblood-leather dress, gold hoop earrings, wine-red lipstick, and chunky brown highlights in her wavy hair. Since Kerry already took the time to match her oxblood Markarian Fall 2018 leather dress, her wine-red lipstick, and her maroon velvet clutch, we think she could’ve paid a little bit more attention to match her heels. 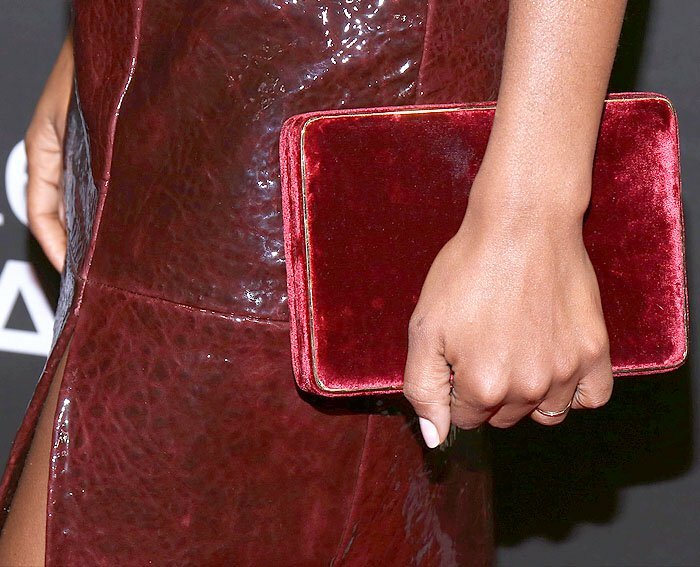 Details of Kerry Washington’s gold-trimmed red velvet box clutch. 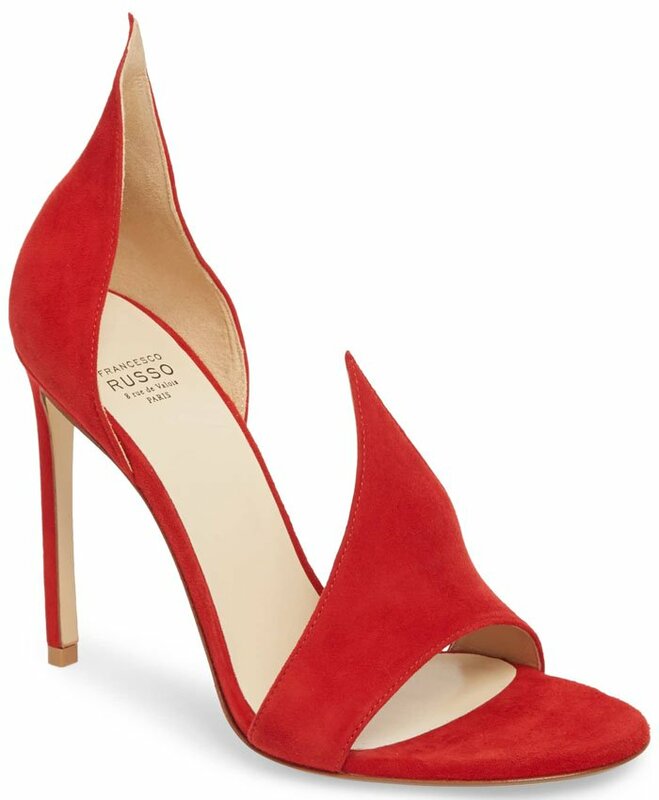 Francesco Russo should’ve sent Kerry the dark-red suede-and-snakeskin version of their ‘Flame’ sandals!